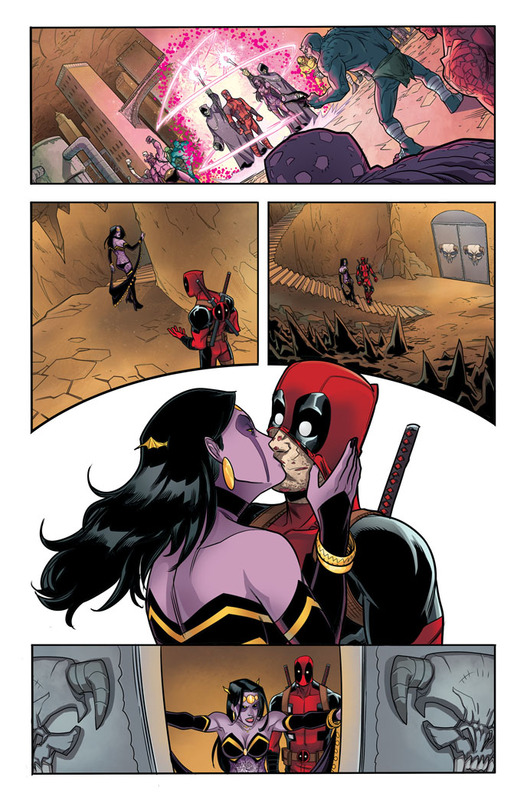 There’s something amiss with Deadpool’s marital bliss! 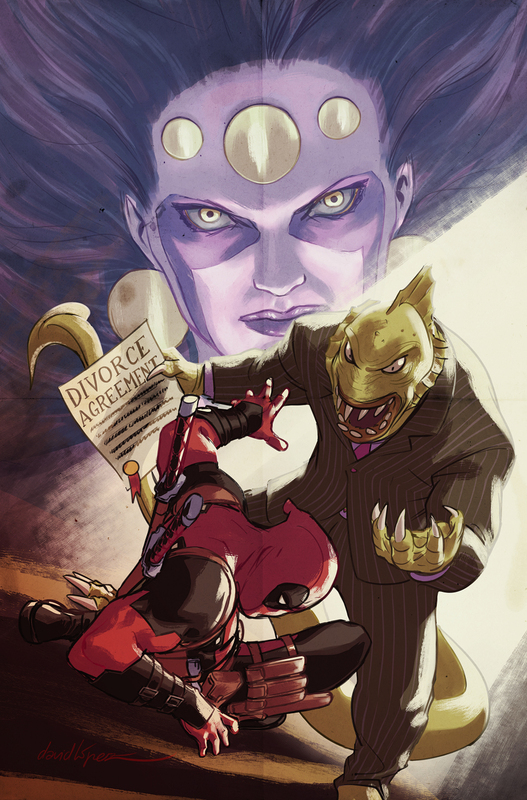 And a domestic dispute as unpredictable as Deadpool himself could spell grave consequences for the entire world! Today, Marvel is pleased to present your first look inside DEADPOOL #28 – the first chapter of ‘Til Death Do Us… Writer Gerry Duggan continues his sweeping Deadpool saga alongside artist Salva Espin for the first chapter in a blistering 6-issue crossover with Spider-Man/Deadpool and Deadpool & the Mercs for Money! 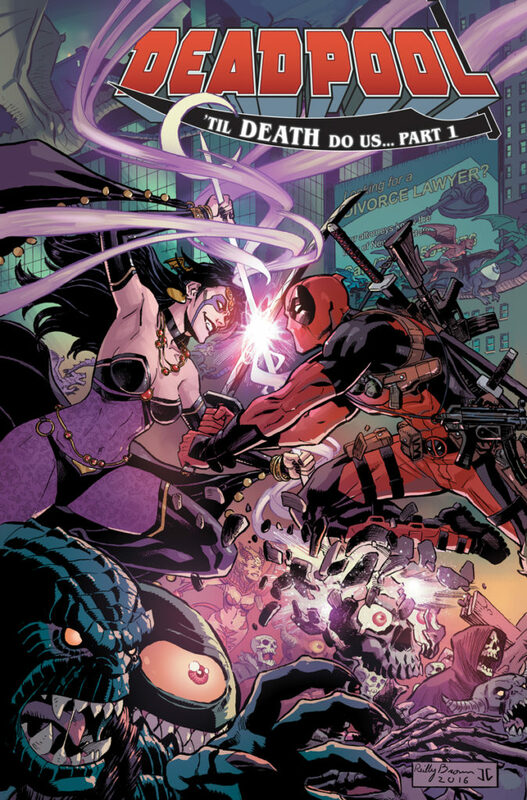 Some couples hit a rough patch from time-to-time – but only Deadpool & Shiklah’s include a full scale monster invasion of Manhattan! With Spider-Man and the Mercs for Money along for the ride! 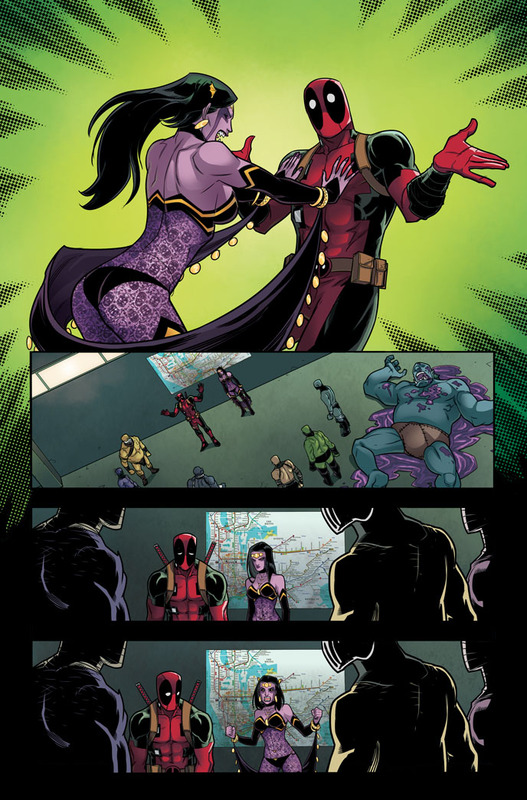 Deadpool’s whirlwind romance with Shiklah was one of the most exciting times of his life. But that was then and this is now. The honeymoon is over, and reality has set in. 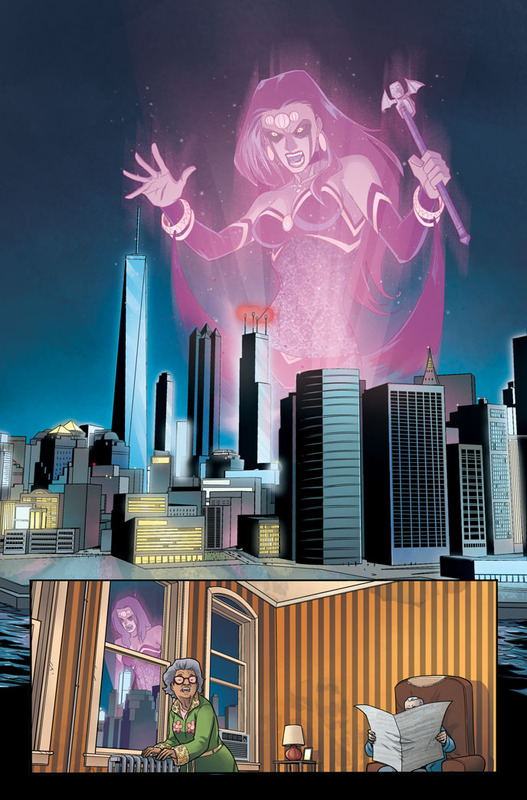 Shiklah is a demon succubus and Queen of a monster kingdom hidden deep below Manhattan. And problems between her and Wade continue to pile up. Now, when an affront to Shiklah’s people demands justice, a line will be crossed. 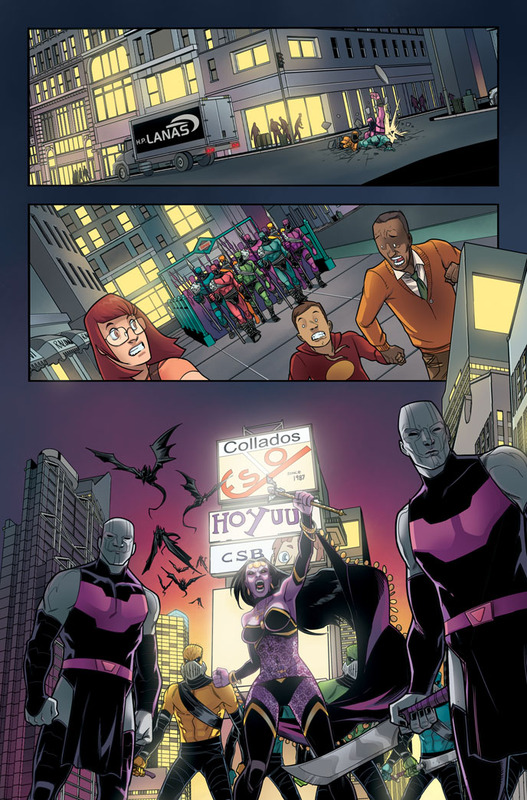 As Monster Metropolis declares war on the surface world, Deadpool will be faced with a decision. Does he choose the wife to whom he’s pledged himself or the role he’s been crafting for himself as a hero? Find out in DEADPOOL #28, the exciting kickoff to Deadpool: Till Death Do Us… coming to comic shops everywhere on March 1st! But the explosive action doesn’t stop there! 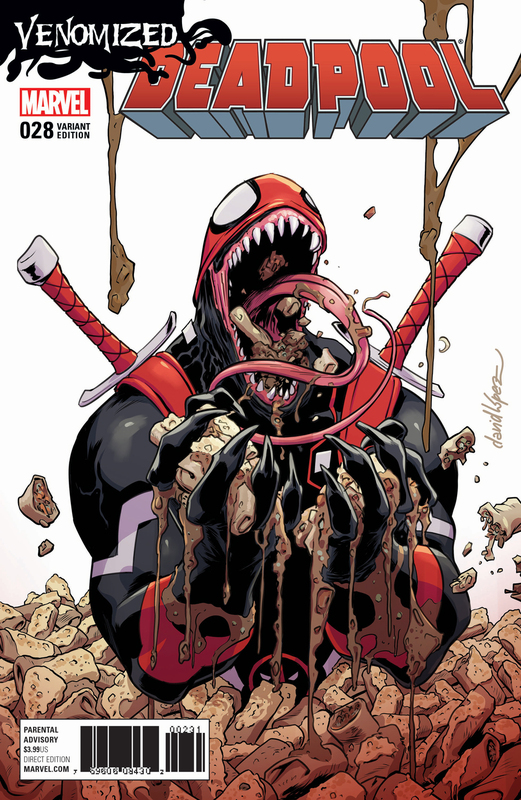 The story continues throughout the month of March in SPIDER-MAN/DEADPOOL #15 and DEADPOOL AND THE MERCS FOR MONEY #9 – available wherever comics are sold! For more information, visit Marvel.com for an interview with Writer Gerry Duggan and Editor Jordan D. White.